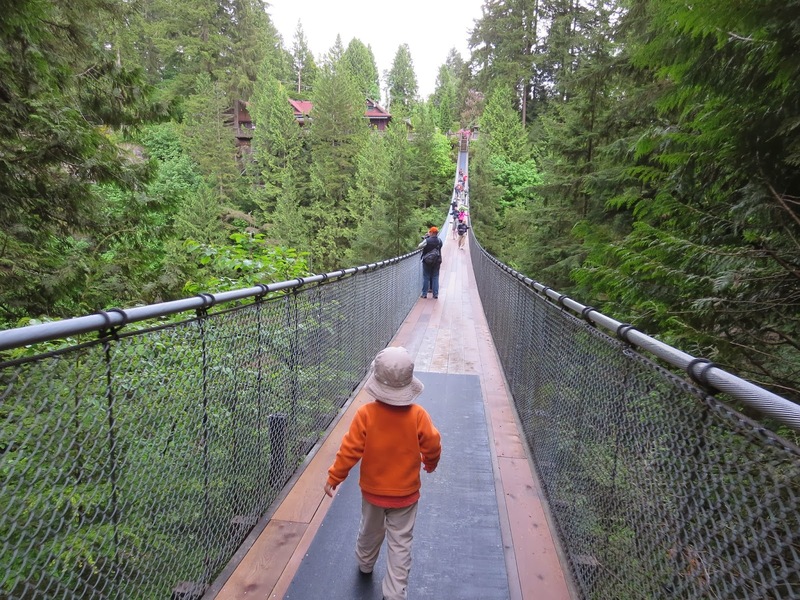 Built in 1889, the Capilano Suspension Bridge is 450 feet (137m) long and hangs 230 feet (70m) above Capilano River. 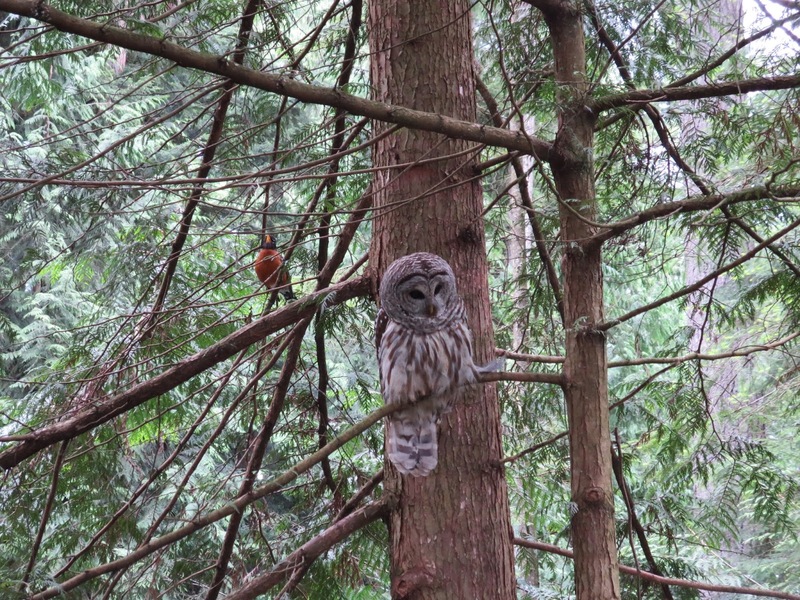 But Capilano Suspension Bridge Park is far more than just the bridge. Not only is the park home to the adrenalin-pumping suspension bridge, but the thrilling Cliffwalk, gorgeous rainforest walking paths, trout ponds, a Totem Park and the Treetop Adventure - offering a birds-eye view of the rainforest from a series of viewing platforms and suspension bridges. It is easy to spend a few hours enjoying this beautiful spot. Admission isn’t cheap... The cost is $31.95 for adults, $12.00 for kids aged 6-12 (kids under 6 are free! ), but I found the park worth every penny. On our visit, B and I arrived by taxi about 30 minutes before the park opened and were the second group in line to enter the park. I highly recommend arriving as early as possible to give yourself the opportunity to enjoy the bridge with as few other tourists as possible. Be aware that tour buses get access to the site earlier, so even if you are the first in line to enter, you likely won’t be the only guests there. Strollers aren’t permitted on the bridge and caution is certainly advised if you are carrying a squirmy child. But if your child can walk, the bridge feels very safe. While there is some swaying on the bridge, it isn’t a drastic amount of movement. At first B was a bit hesitant to head out onto the bridge but after a few steps, he thought it was a blast! 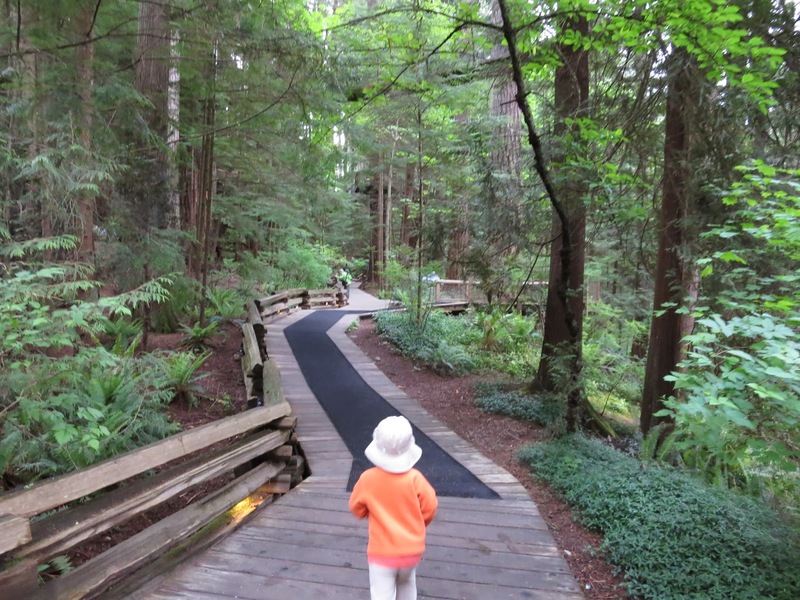 The Capilano Suspension Bridge Park is located about 15 minutes from downtown Vancouver and can be reached via car, taxi or transit (take the Seabus from Vancouver to Lonsdale Quay and take the #236 bus). A free shuttle trolley is also available to and from several stops in downtown Vancouver. (We used the shuttle to get back to Vancouver - be warned the trolley is a VERY bumpy ride, so if you have back problems or have a napping baby, you may want to give it a miss).